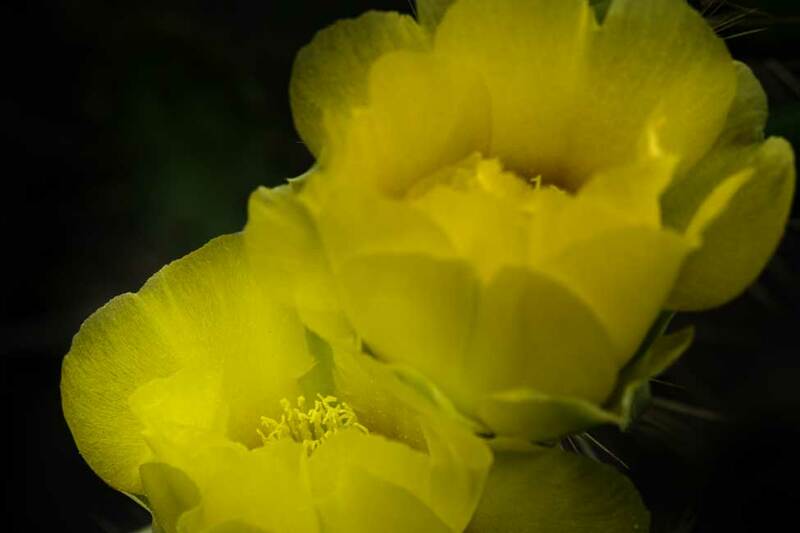 Despite its incredibly fierce passive/aggressive defense, the Prickly Pear Cactus sprouts a very delicate flower about this time every spring. 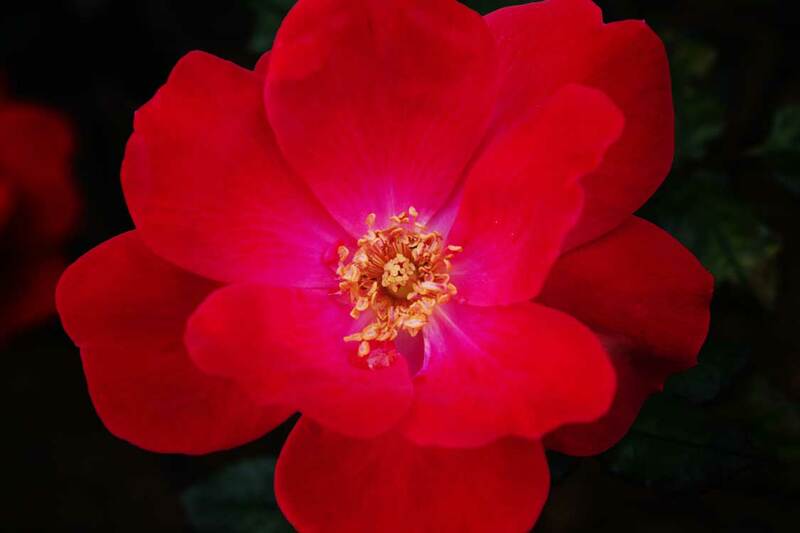 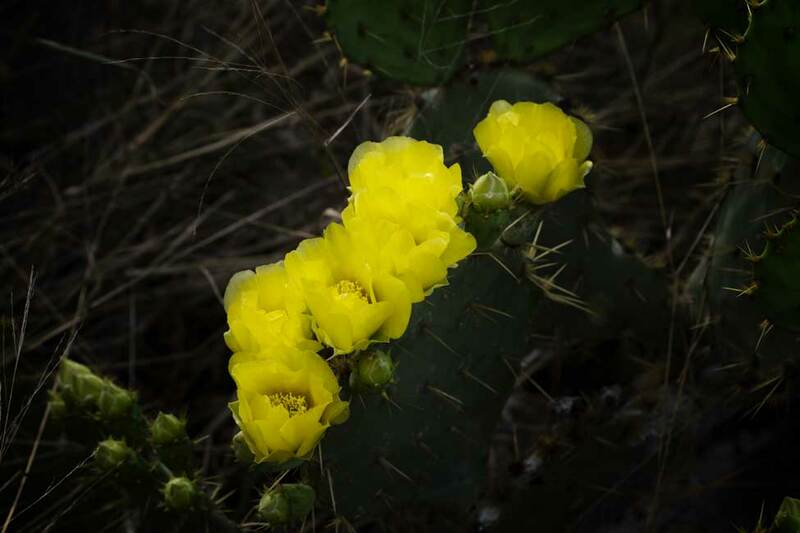 These are a few growing around the perimeter of the Snow to Sun RV Resort’s leash-free dog park and birding center. 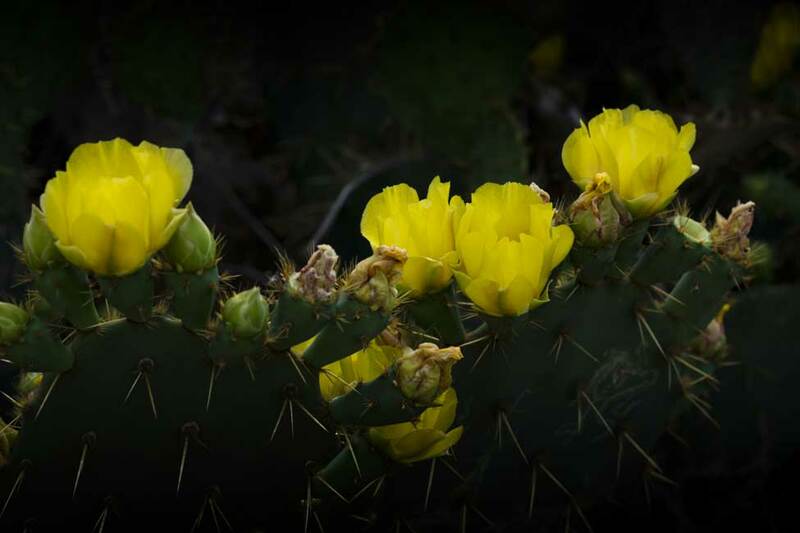 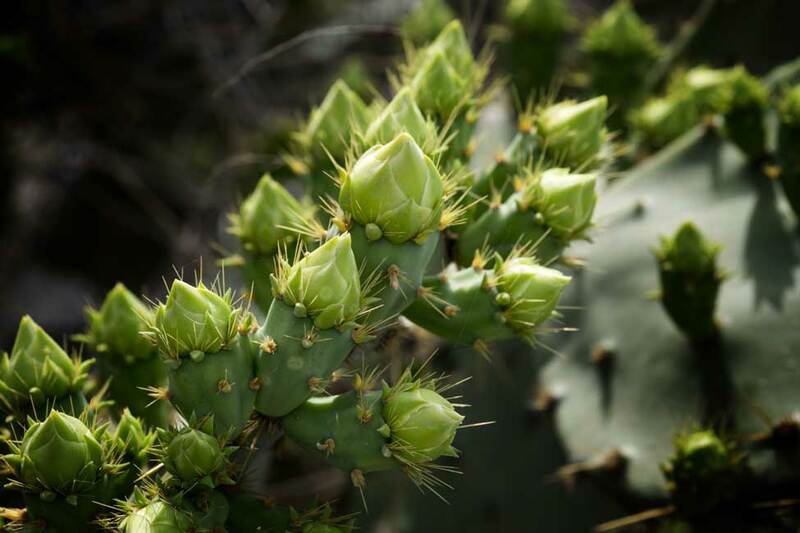 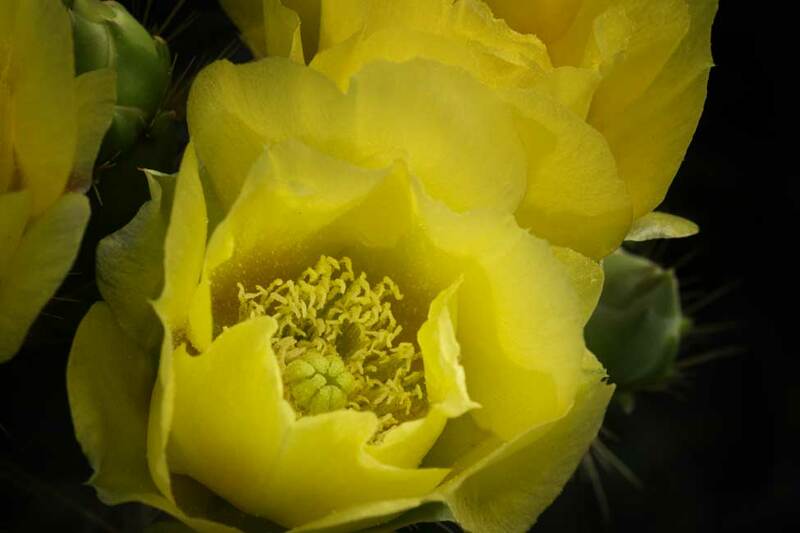 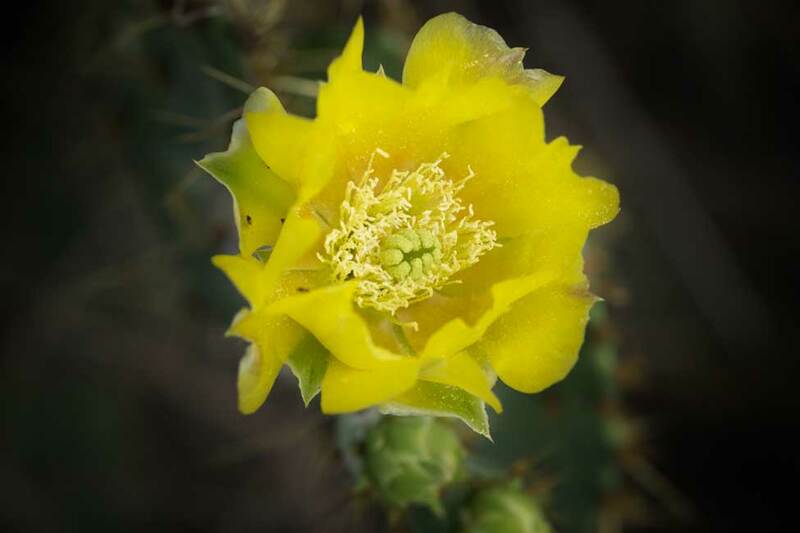 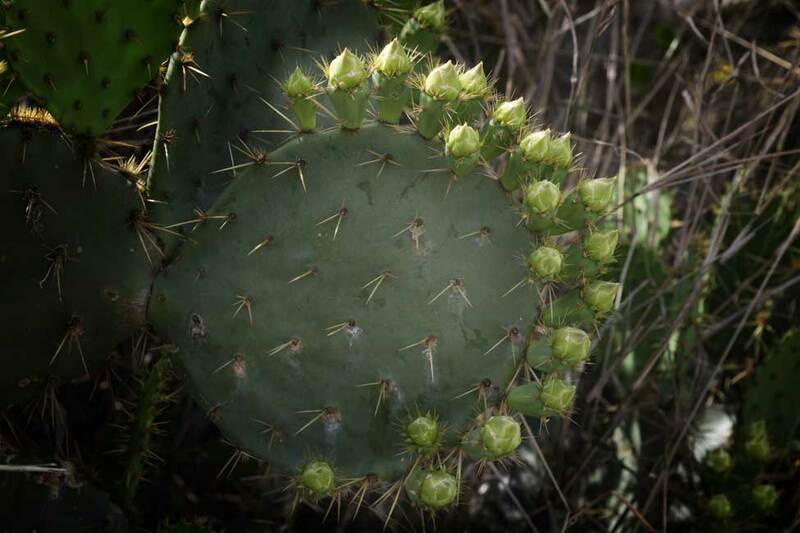 Prickly Pear blossoms begin opening in the Rio Grande Valley late March. 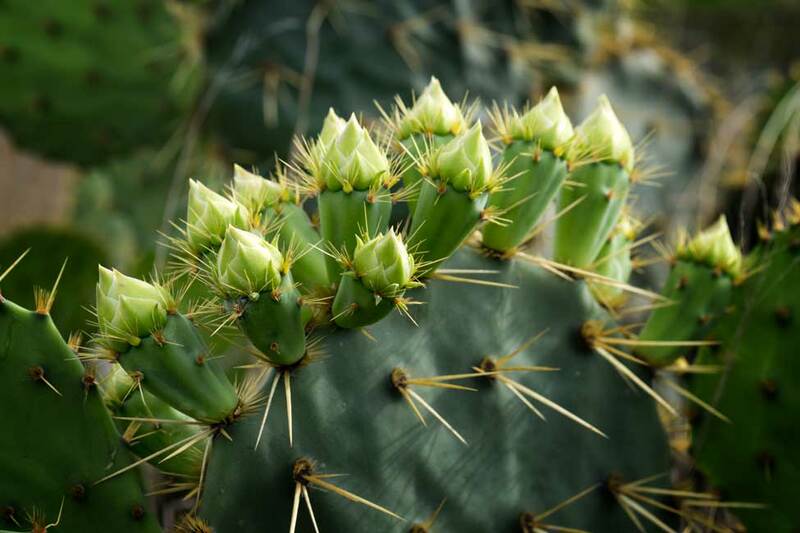 By the end of June to the middle of July tunas will be ripe for harvest and turned into a delicious wine. 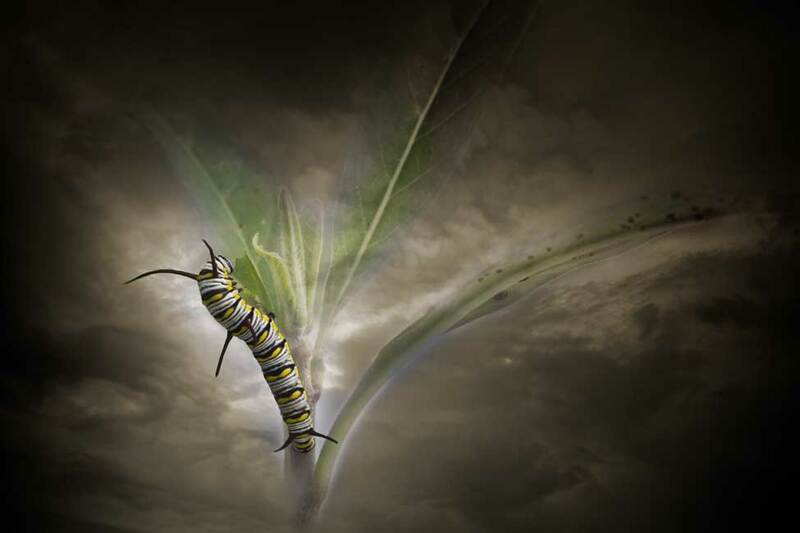 It’s but a temporary stage in the life cycle of a Monarch butterfly. 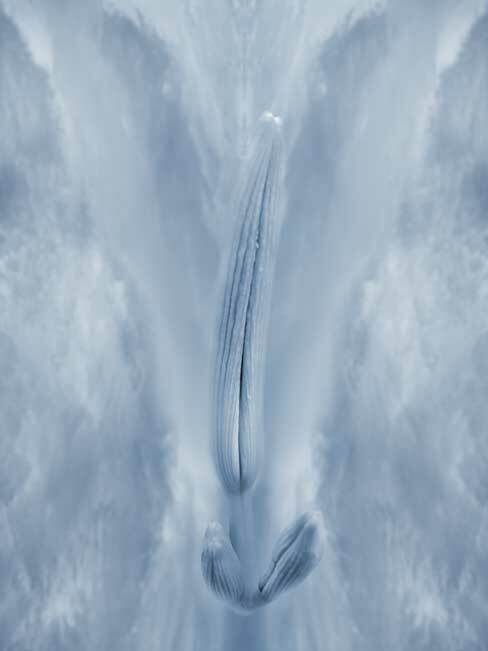 This series of twelve images (see previous posts) were created to show relationships between shapes and forms frequently occurring in ordinary environments, but in an unusual way of looking at them. 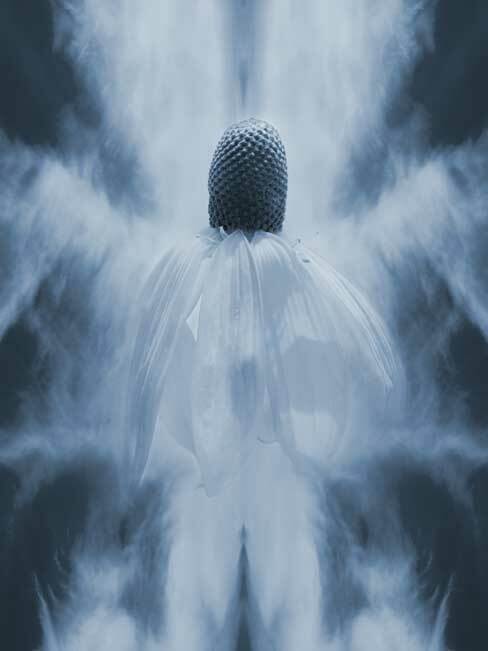 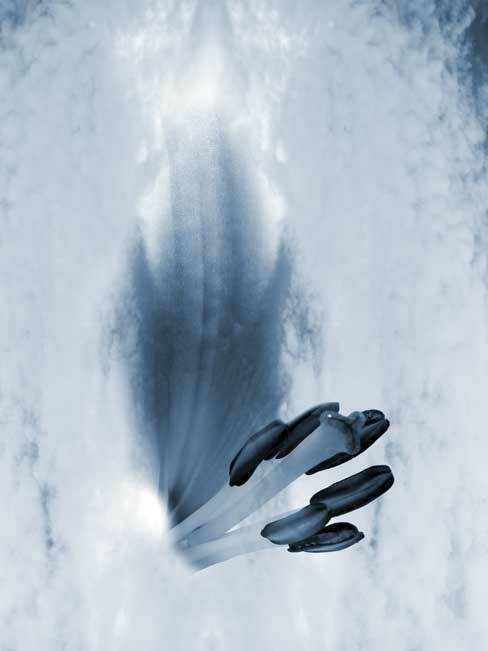 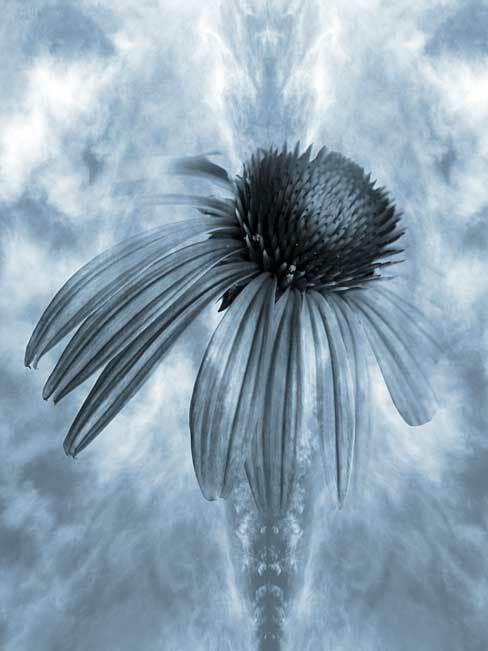 Each of the images in this series (see previous posts) is a collage of mirrored clouds, blended with plants, selected petals or blossoms intended to illustrate symmetry, repeating shapes and forms – sometimes provocatively suggestive – that show relationships and connectivity in the incredibly dynamic life spirit of the universe.